Everyone, thank you for gathering today. Yes. We truly are nearing the end now. Are you a little sad? (laughs) We’re here to talk about The Legend of Zelda: Skyward Sword. First, we made the Wii MotionPlus1 accessory, then we built it into the Wii Remote controller in the form of the Wii Remote Plus2 controller, so one challenge this time was seeing how using that would change a Zelda game. 1Wii MotionPlus: An accessory with a motion sensor that connects to the Wii Remote controller. 2Wii Remote Plus: An enhanced version of the Wii Remote controller with the Wii MotionPlus accessory built in. It was released in November 2010. I mainly want to ask about that today, but first, I would like each of you to introduce yourself, including what you worked on with regard to this game. Aonuma-san, would you start? 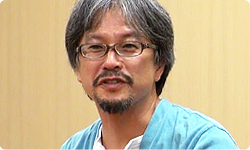 I’m Aonuma, the producer. There have been all kinds of twists and turns since development began almost five years ago. Until completion of The Legend of Zelda: Skyward Sword, I talked with Director Fujibayashi about how we could take the project in a good direction, backed up the staff, and consulted with Miyamoto-san. You say that there were twists and turns, but I heard there were few detours this time compared to the previous game, The Legend of Zelda: Twilight Princess3. 3The Legend of Zelda: Twilight Princess: An action-adventure game released for the Nintendo GameCube and Wii systems in Japan on November 2006. Yes. (laughs) I can’t say there weren’t any at all. I thought I would talk about that today. 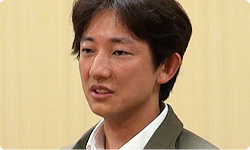 My impression is that you were able to articulately pack in a lot of elements the team had worked on in the game, that it has turned out to have an incredibly high concentration of ideas even compared to other Legend of Zelda games. That’s true. We took a detour along the way, but compared to previous Zelda games, we were able to pack in so many kinds of play that it practically bears no comparison. I’m Fujibayashi, the director. I was in charge of overall aspects of the game, from the barebones of gameplay to the script. Every time we made something using Wii MotionPlus, I showed it to Miyamoto-san, Tezuka-san and Aonuma-san and heard their opinions, remaking it until they said it was good. Before this, you worked on The Legend of Zelda: Phantom Hourglass4, right? 4The Legend of Zelda: Phantom Hourglass: A stylus-controlled action-adventure game released in Japan in June 2007 as the first game in The Legend of Zelda series for the Nintendo DS system. Yes, I participated as the Assistant Director. Now that you’ve experienced making The Legend of Zelda for both a handheld and a home console, what was different? The amount of work involved. With a home console, making corrections is difficult. So many people work on a home console game that once instructions go out, it’s hard to make changes later on. That’s right. That was the biggest thing. But before we began this game for the Wii console, since it was my first time working on a home console game, I was under a lot of pressure. But once we made it, I realised it didn’t change much. You mean that it felt like a Zelda game? Correct, in the way that I was making a Zelda game as the director. 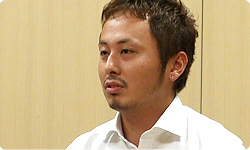 I’m Kobayashi, the design director. All kinds of enemies and residents appear this time. Each section had a leader for coordinating those, and I oversaw them. Have you worked on The Legend of Zelda for a long time? About my fifth year at Nintendo, I worked on the series for the first time as a designer in charge of enemies for The Legend of Zelda: The Wind Waker5 on the Nintendo GameCube system. This was my second Legend of Zelda game. 5The Legend of Zelda: The Wind Waker: An action-adventure game released for the Nintendo GameCube system in Japan in December 2002. So it had been awhile. I’m Tanaka. I was in charge of coordinating the UI (user interface) section. 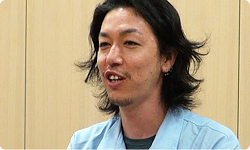 Kobayashi-san mentioned how there were various leaders, and I was one of them. It is unusual for someone from the UI section, such as you, to appear here the first round of interviews. I think you are here because The Legend of Zelda: Skyward Sword uses Wii MotionPlus. I think so. We gave a lot of consideration to how we should reflect the new Wii MotionPlus controls on the screen and to how we could make them easy for the players to understand. 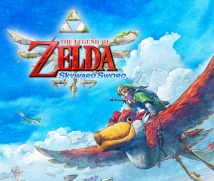 Aonuma-san, how did development of The Legend of Zelda: Skyward Sword begin? We tried a bunch of things for Wii MotionPlus, but it was really quirky. Wii MotionPlus is an incredibly sharp device, but a little distinctive. It’s like an unruly horse. Yes, exactly. No matter what we did, we couldn’t tame it. Then Wii Sports Resort6 came out as the first game for Wii MotionPlus. 6Wii Sports Resort: A sports game released in Japan in June 2009. It was the first game for Wii MotionPlus. It features 12 leisure sports. We played that and realised how much you could do with it. Wii Sports Resort has all kinds of games like Swordplay and Archery and you can play each one as its own separate game, but in The Legend of Zelda, you play everything on the same field. That’s right. You may be fighting with your sword and the next instant use the Clawshots or shoot an arrow or throw a bomb, so it was really difficult to make the game so you could use Wii MotionPlus to do those things smoothly all on the same field. So I proposed to the staff to not use Wii MotionPlus after all. 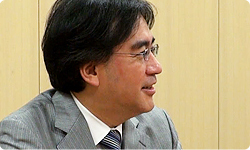 As Aonuma-san just mentioned, we had proceeded with a plan that didn’t involve using Wii MotionPlus. We had already made something basic using button controls to fight, and we had taken development to where we were going to start cranking out a bunch of variations. But then Aonuma-san suddenly called us in. We thought, “Aw, here it comes...” (laughs) We didn’t have any existing knowledge of how it worked, so we weren’t even at the starting point because we had to learn how it worked! Yes. And it was a huge one!